Pick up at NJP and reach Rishyap in about 4 hrs. Rishop is a Himalayan hamlet in West Bengal. Situated over the Neora valley at an altitude of 2,360 m, this hill station at the foot of Tiffin Dara comprises of a Lepcha hamlet and a few resorts. It is a nice quaint village away from city crowds, with picturesque views of snow-capped mountains. The 300 degree visible mountain ranges that you can view from Rishyap are (left to right) Mt.Kharg, Kokthang, Rathong, Kabru (North, South, Dome and Fork), Talung, Pandim, Khang-Chen-D-Zongha, Simvo, Narsingh, Siniolchu. Sunrise in Rishop is very beautiful. 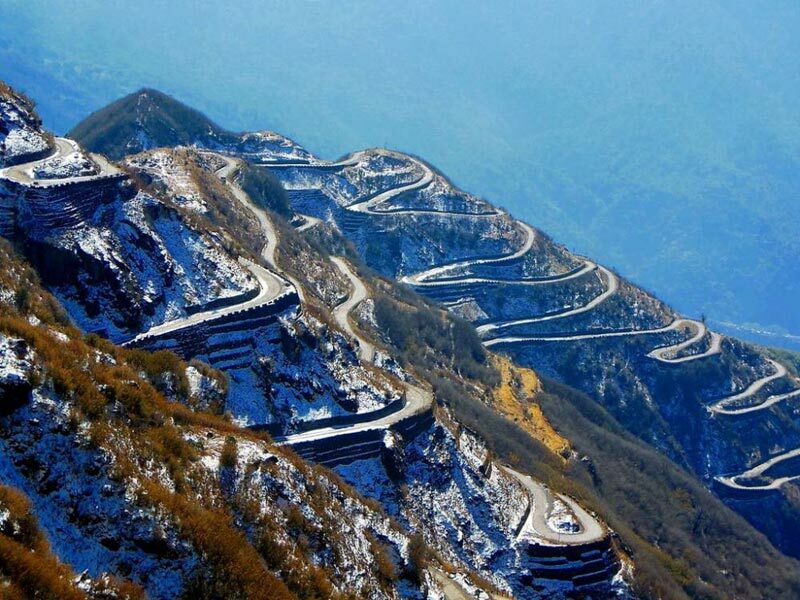 The blue mountains of Sikkim by its side are also worth watching. Nathu La and Jalep La are also visible from Rishop. At night the big sky seems to come closer. Beneath the sky the twinkling lights of Gangtok & Pedong are similar to the twinkling stars above. After breakfast, checkout from the hotel and move towards Aritar, your next destination and a journey of about 2 -3 hrs. Check-in to your resort and thereafter enjoy paddle boating in the placid waters of the lake and do a Parikrama of this Holy Lake. Alternately, you can walk down to the Chandaney Falls and enjoy the beauty of the falls. Overnight at Aritar. Watch the sunrise from your resort and visit the Mankhim temple. While returning visit the Aritar Gumpha. After breakfast, leave for Zuluk. Cross Rongli, Lingtham, Padamchin and reach Zuluk. Put up at Zuluk Lodge. Enjoy the sunset from Balasura Point. Overnight at Zuluk. Start early in the morning at around 4:00 a.m and view the Sunrise from Ganek View Point. Thereafter, follow the Silk Route Trail and enjoy the beauty of Thambi View point, Laxmi Chowk, Gnathang Valley, Tukla Kalapokhari, Tukla Baba Mandir, Tukla valley, Jepepla Pass View and reach Kupup. Don’t miss the Hathi Pokhari Lake. At Kupup, see the World’s highest Golf course, the Yak Golf Course at 13025 ft (Guinness Book of World Records acclaimed), the Ice Hockey ground. After having breakfast at Kupup (Maggi Soup style only), return to Gnathang. Overnight at Gnathang. After breakfast, start for Reshikhola. Balance across the bamboo bridge to reach your cottage. Enjoy this lovely picnic spot on the bank of the Reshikhola. After breakfast, set off for the sightseeing of Pedong. Thereafter, transfer to Sillerygaon. Situated at an altitude of 6,000 ft, Sillerygaon is a village of not more than 24 families and that too in the middle of a jungle. 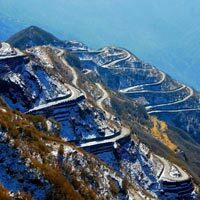 This place is being proclaimed as the New Darjeeling because of its beautiful view of the Kanchendzonga. Its serene atmosphere is an invitation to run away from the hum and din of the city. Rest of the day is at leisure. Overnight at Sillery gaon to soak in the beauty of the place. In the afternoon, visit the Damsang Fort ruins, Tinchuley view point, Silent Valley, Rikkisum and the Ramitay view point. All these places can either be trekked or if you want we can arrange a vehicle for you at an extra cost to visit these places. Ramitay view point offers the longest view of River Teesta with approximately 14 turns. After Breakfast, we start for the last leg of our tour. Covering the distance in about 3.5 hrs – 4 hrs we bid adieu to the beautiful land and transfer you to NJP/Bagdogra. Tour ends with Sweet memories.